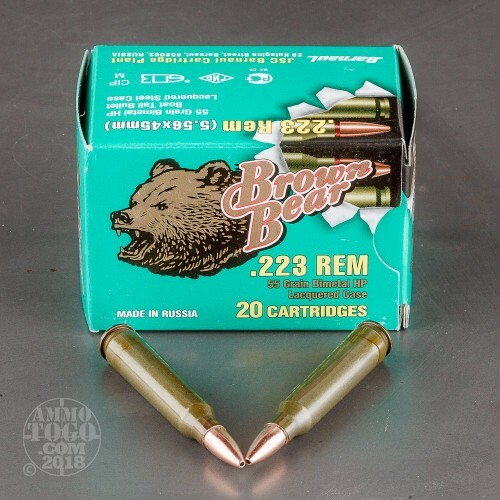 These Russian made .223 Remington cartridges are highly affordable and appropriate for varmint hunting as well as target shooting. Brown Bear cartridges are assembled using non-reloadable steel casings which are coated in a strong lacquer and equipped with non-corrosive Berdan primers. Contrary to internet rumors, lacquer coating does not melt during the firing process and instead protects internal parts from harsh steel contact while preserving the ammunition during long-term storage. 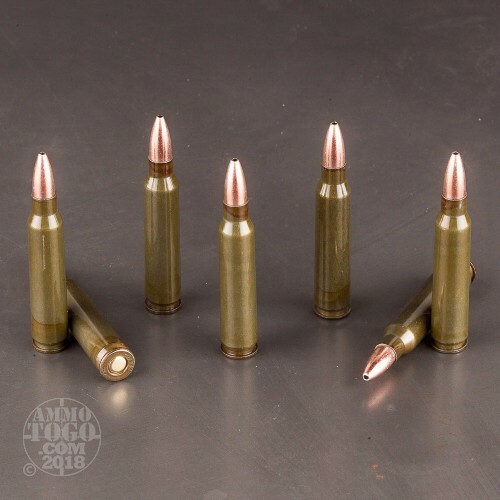 Each of these rounds sports a 55 grain hollow-point projectile with base-covering bi-metal jacket that leaves minimal lead residue in your favorite rifle. 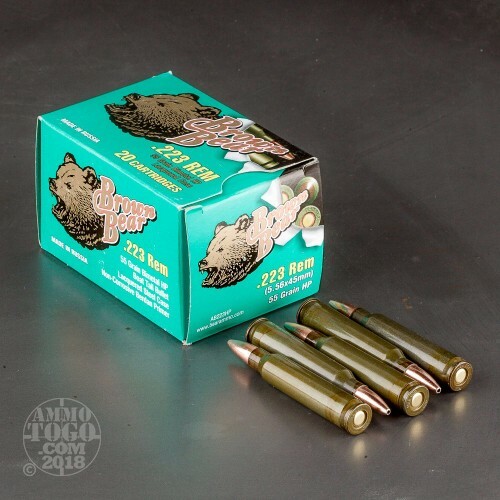 The 55 grain weight is common to the .223 caliber and will mirror the flight trajectory of the most popular practice ammunition; that makes it easier to confirm your zero before setting your sights on coyotes and javelina. These hollow-point projectiles are designed to expand rapidly upon contact with a target and are likely to fragment given their light weight and thin jackets. Fragmentation of this nature is appropriate for thin-skinned game and will quickly disperse the round's energy into vital organs for humane terminal effect with little danger of over-penetration. 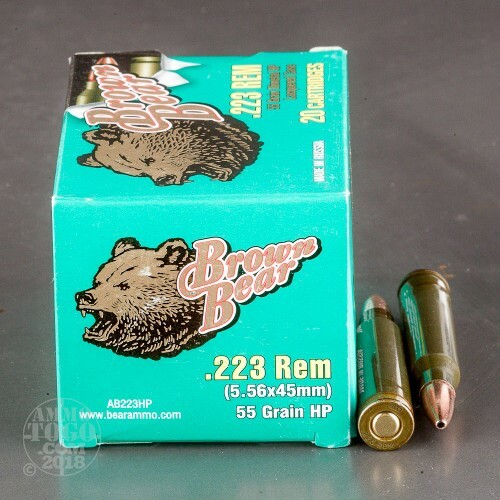 Brown Bear ammunition is manufactured at the Barnaul Cartridge Plant which has roots that go back as far as World War I. Their experience in wartime production and meeting stringent military standards allows them to offer reliably functioning export calibers at very low cost.